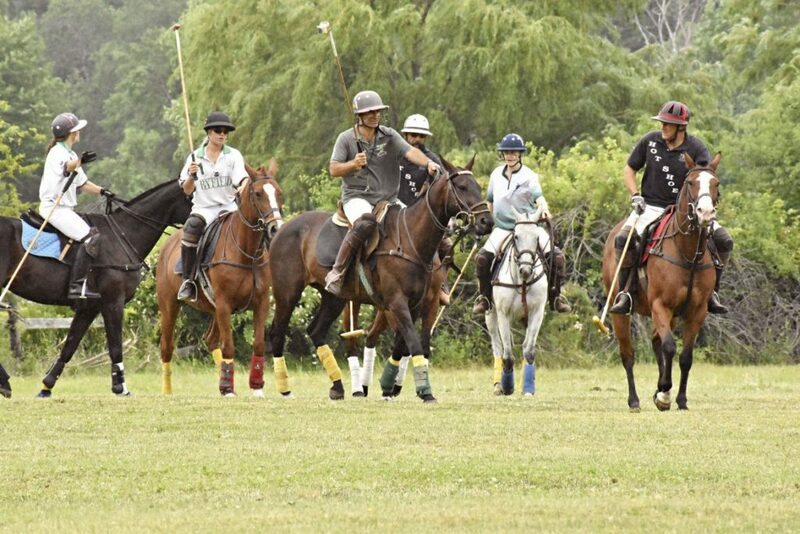 Polo requires a strong core and a willingness to swing a mallet from a moving horse. Jedda eyes me skeptically (with good reason) as I take her reins to lead her into the ring. Nine years old, she is a gleaming chocolate brown thoroughbred, a former racehorse enjoying retirement as a polo pony. Me? I’m a novice decked out in a pair of electric-blue rubber rain boots and a borrowed riding helmet, and I haven’t ridden a horse since before she was born. It turns out that’s not unusual for beginning polo students. Polo may be the sport of kings, but it attracts a fair number of dilettantes, most of whom sign on with limited riding experience—and sometimes none at all, says Mark Tashjian, founder, manager, and trainer at Boston Polo Club in Georgetown, Massachusetts. That’s comforting. I’ve been a spectator at many a polo match, watching players gallop past at speeds topping 30 miles per hour while chasing a fist-sized ball as I sit on the sidelines sipping champagne in a pretty hat. Joining the fray always struck me as foolhardy, and likely perilous, but also thrilling. Jedda doesn’t seem especially thrilled, however. She ambles along, tossing her head and having a whinnying conversation with some friends nearby. “She’s really just like a giant black lab,” Tashjian says reassuringly. Instead of dog biscuits, he encourages me to curry favor by offering Jedda a peppermint hard candy,which she scoops out of my flat palm with her long tongue. 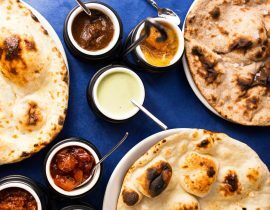 Tashjian’s club is located in the bucolic countryside about 40 minutes north of Boston. It has a polo field and three outdoor rings in addition to the indoor ring I am attempting to navigate with Jedda. Spectators are invited to watch outdoor matches in the spring and fall. 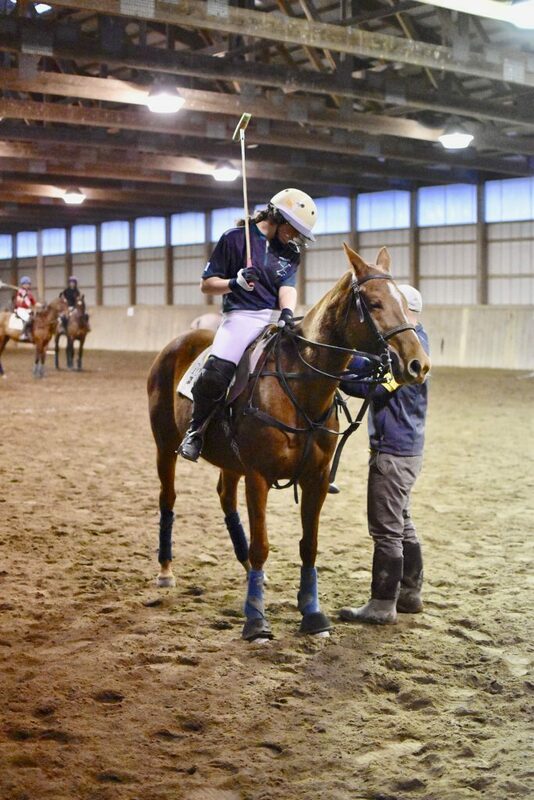 Polo lessons are offered year-round in the indoor ring, which is smallish and has a sandy floor that requires players to use a ball different from the one used for play on grass. Slightly bigger than a softball, and inflatable like a tiny soccer ball, it doesn’t move as fast as an outdoor polo ball—and doesn’t hurt nearly as much if it accidentally flies into a horse or rider. Jedda wears wraps on her front ankles that protect her from flying balls. I rather wish she also had a helmet like mine, as my biggest fear is missing the ball and smacking her in the head with my stick. Polo sticks are long and flexible, ranging from 48 to 54 inches based on the height of the pony, with a hammer on the end. They’re comparable to really long croquet mallets, but with bamboo shafts, and instead of using the head of the mallet, players hit the ball with the side. The game is fast-paced, like ice hockey on a horse. Players knock the ball down the field to score goals for an hour or two in 7.5-minute periods called chukkers. 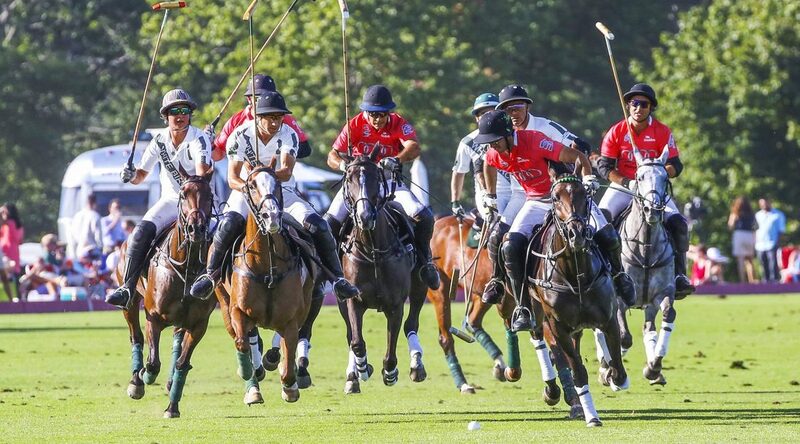 The only other thing a spectator needs to know about a polo match is the divot stomp: Halfway through the game, everyone is invited onto the field to tamp down the spots where the turf has been dug up by horses’ hooves. Players need to know a lot more, of course. For instance, how to steer the horse, which wears two sets of reins for greater control. “The reins are like a joystick,” Tashjian says, instructing me to hold mine in my left hand and rest it on Jedda’s neck. I move my hand forward, and Jedda takes a few steps ahead. Left and she turns to the left. I discover pretty quickly that the concentration required to work with her while following the tiny soccer ball around the ring pushes my fear aside. “Everyone thinks the riding will be the hardest part,” Tashjian says. “People are surprised at how accessible it is.” In fact, it turns out that lack of riding experience is perhaps less relevant than core strength. Aiming the long mallet and powering your strokes requires pressing your feet into the stirrups, squeezing your thighs, tightening your abs, then boldly leaning over the side of a moving horse to swing at a ball a few inches high. After 10 minutes or so, it felt like a good barre class. 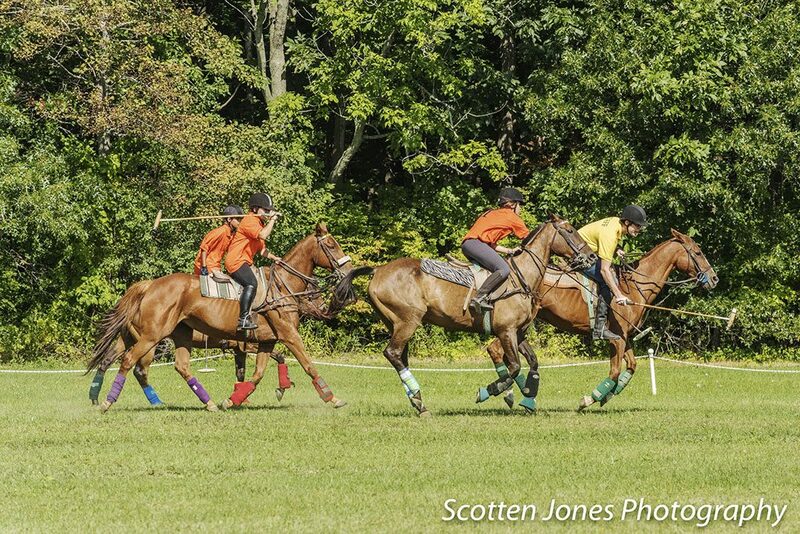 Turns out polo is a serious workout for the rider—perhaps more than it is for the horse. Jedda barely moved her gait beyond a walk while I focused intently on keeping up with her and the ball. Ensuring players’ safety is paramount, but even cautious riders tend to progress quickly with proper training, Tashjian says. A beginner can be ready to play in actual matches within about a year, he adds, noting that one can build a good foundation at his club for about $2,000 annually. 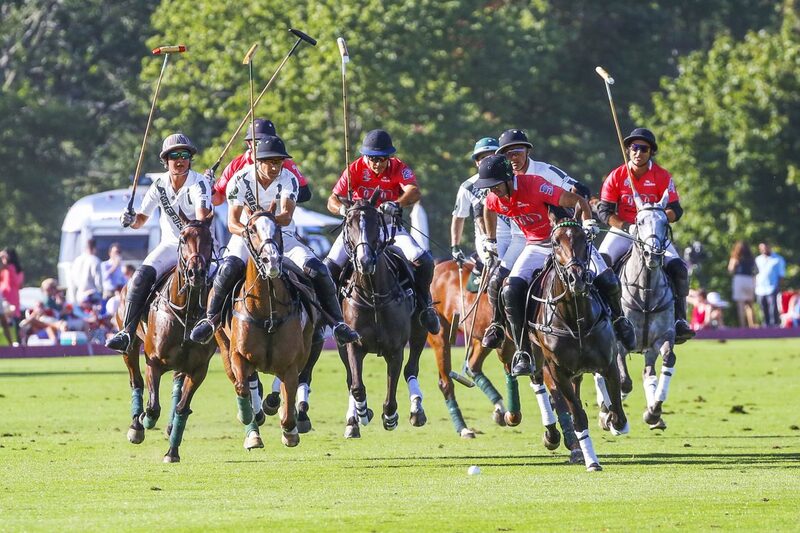 Polo uses a handicap system delineated in “goals” to rank players, ranging from –2 up to 10. Teams are built to have matching handicaps, so professionals and amateurs can play side by side. 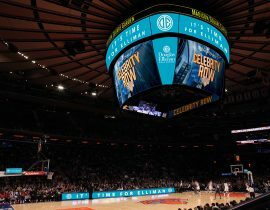 I’m a long way from making that dream a reality, but look for me at the polo grounds this spring and summer. I’ll be under a broadbrimmed hat, toasting the ponies with a glass of bubbly. 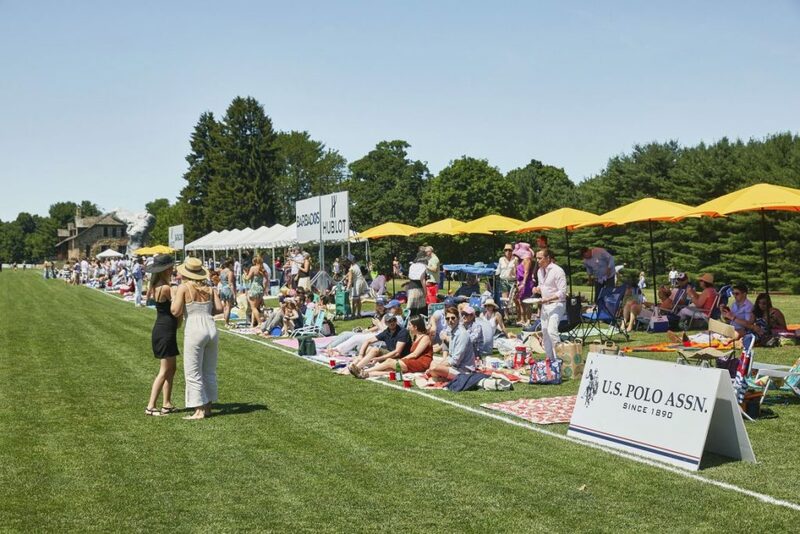 A polo match is one of the few places in the U.S. where regular afternoon attire invites straw boaters, seersucker suits, and flowery dresses. Pack a fancy picnic and take in a match or learn to play at one of these top spots. 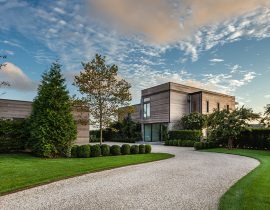 Find your next home in Boston today.